Strange things happen in Animal Crossing: New Leaf. Things that wouldn't make a lot of sense in an ordinary town. 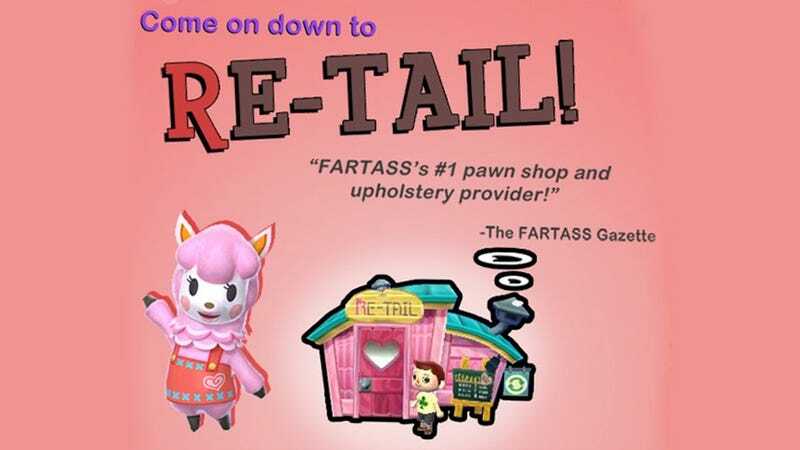 The always-enjoyable miscreants at Dorkly have helped capture some of those moments in this collection of flyers, ostensibly found on the bulletin board in an Animal Crossing town named, what else, FARTASS.